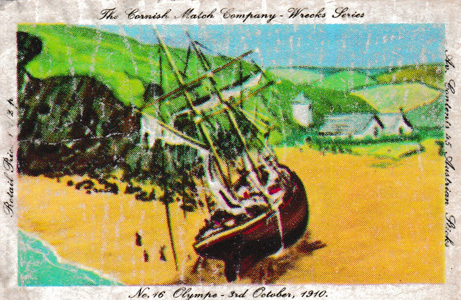 Bound for Swansea with a cargo of pitwood. 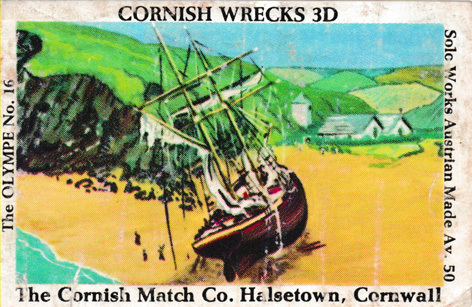 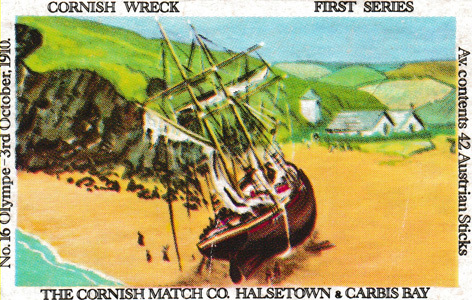 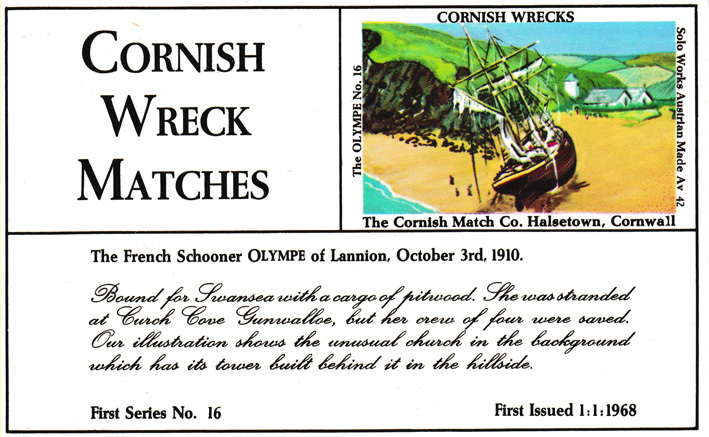 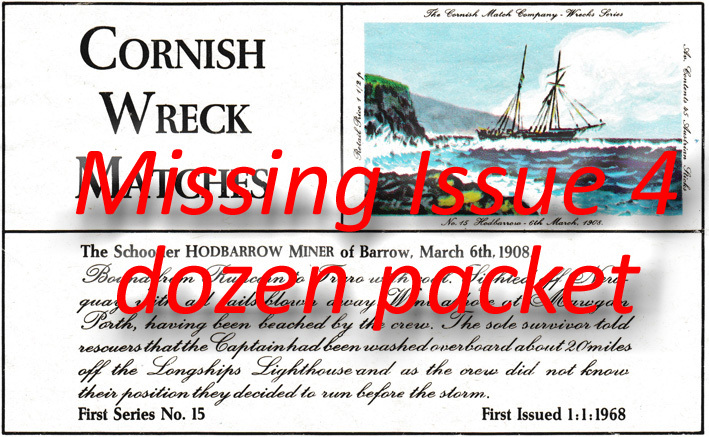 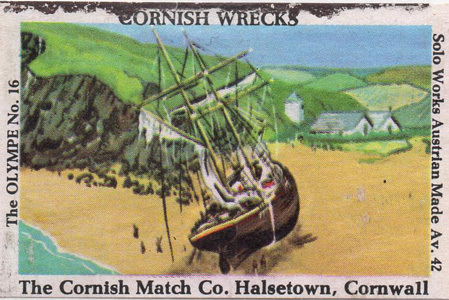 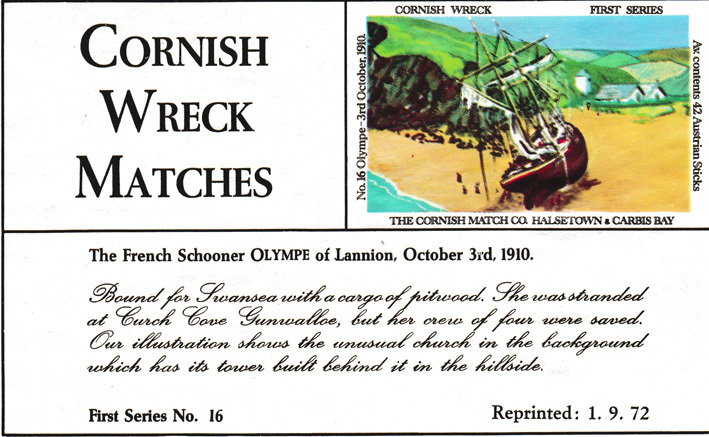 She was stranded at Church Cove Gunwalloe on 3rd October 1910, but her crew of four were saved. 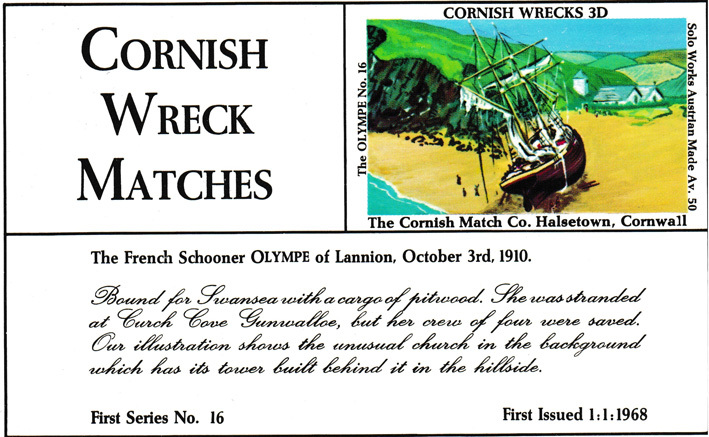 The illustration shows the unusual church in the background which has its tower built behind it in the hillside.